This work on Hebrews is part of a New Testament commentary series which has as its objective explaining and applying Scripture, focusing on the major doctrines and how they relate to the whole of the Bible. This passage-by-passage study of the Epistle of 2 Timothy follows John MacArthur's orientation toward explanation and exposition rather than overly-academic concentration on linguistics, theology, or homiletics. 2 Timothy : MacArthur New Testament Commentary by John MacArthur was published by Moody in July 1997. The ISBN for 2 Timothy : MacArthur New Testament Commentary is 9780802407573. 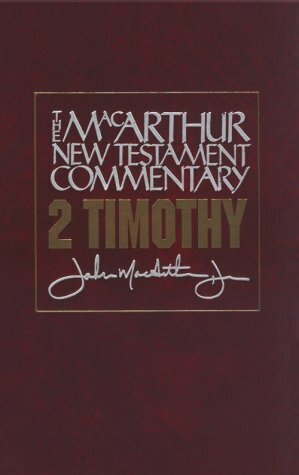 Be the first to review 2 Timothy : MacArthur New Testament Commentary! Got a question? No problem! Just click here to ask us about 2 Timothy : MacArthur New Testament Commentary.